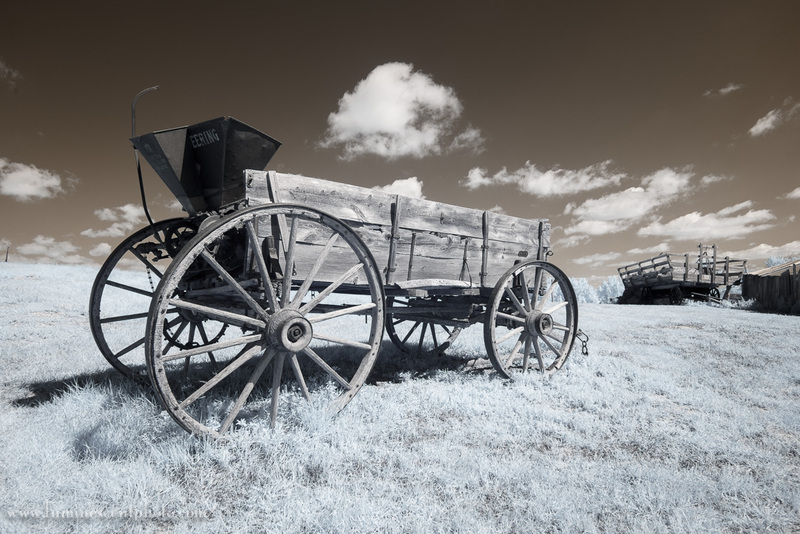 You can have a lot of creative fun with a digital infrared camera. Converting an old camera to infrared is a great way to breathe new life into that camera. I recently purchased a used Fujifilm X-E1 mirrorless camera to use as an infrared body. I chose this camera as a compact complement to my Fujifilm X-T1, which has become my primary travel camera due to its small size and excellent image quality. I don’t want to carry multiple systems in the field, so I figured the X-E1 should do the trick (and it does). I’ll have more on that in another post. The toughest decision about infrared conversion, is choosing the conversion type. Depending on your style of shooting and subject matter, you can choose from a range of conversions, including standard, enhanced color, super color, deep black, and even full-spectrum (UV through IR range). Each of these conversions has its own merits, but most people will probably want to use either standard (720nm) or super-color (590nm) for infrared work. I chose the “super color” or 590nm conversion from Life Pixel. The reason for my filter choice was simple. With a little post-processing prowess, I can pretty much get just about any of the traditional infrared “looks” from a single RAW file. The super-color conversion allows a fair amount of visible light to reach the sensor. This delivers a highly saturated color file that can be processed in any number of ways. This is what the super-color image looks like in Lightroom without modification. Using Lightroom, I can work with the color file to deliver a couple of different looks, simply by adjusting white balance and using the HSL Adjustment sliders. To do this, I needed to create a custom camera profile so that WB adjustments were possible. Then I’m able to deliver either a vibrant look, or one that looks muted, very similar to standard infrared (720nm). Super-color IR image modified in Lightroom to simulate a standard (720nm) conversion. For a different color look, I can send the image to Photoshop, where it’s possible to do a channel-swap and create a blue sky with yellow foliage. Once you’re in Photoshop, you can also decide how much color you want, or even change the color hues around. I used a red-blue channel-swap in Photoshop to create this image from the super-color IR file. The super-color image also lends itself to monochrome conversion with Silver Efex Pro 2 (complete guide here). By retaining the color information, I can dial up the brightness of the blue foliage, and darken the sky to the point where the image resembles a “deep black” (830nm) conversion. You can also use plug-ins, like Color Efex Pro 4 (complete guide here), to further create unique looks with your infrared images. I also like to add Flypaper Textures (discount code: JASONO) to my infrared images to create an even more vintage look. Super-color IR image processed in Silver Efex Pro 2 to resemble a deep black (830nm) conversion. I used the “sunlight” filter in Color Efex Pro 4 on the monochrome image to create a unique warm feel. I added a Flypaper Texture to create a vintage look with this image. Is the super-color conversion right for you? 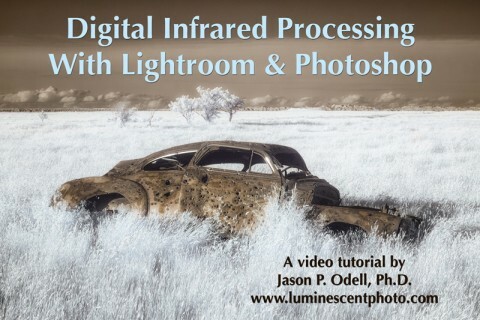 If you have proficiency with image processing tools, then I think that super-color infrared offers the most flexibility from a single RAW file. On the other hand, you might wish to consider a different conversion type if you aren’t in to post-processing. The 720nm (standard) infrared conversion gives muted colors but works well with simple desaturation to create monochrome images. It also performs a little better for portrait work, especially when it comes to removing freckles or age spots, since visible light is almost entirely blocked. If you want to create dramatic monochrome images straight from your camera, then the deep black (830nm) conversion is a good choice. Keep in mind, however, that you’ll be limited in your ability to use plug-ins like Silver Efex Pro 2 that use underlying color data to create selections via Control Points. I still prefer converting color images to monochrome most of the time. A full-spectrum conversion is unique in that you can capture everything from UV to visible to IR images with a single camera. The drawback, however, is that you must use filters on your lens to choose the appropriate spectrum that the sensor sees. While this is the most versatile option, it’s not going to be practical for most photographers to have to carry numerous filters around.